If you're trying to limit your calorie intake, but you're having a hard time taming your sweet tooth you may try different types of sugar substitutes. Truvia is a brand name that uses a blend of sweeteners, including the natural sweetener rebiana, which is a derivative of stevia. While Truvia and stevia are considered natural sweeteners, there's a possibility they could have side effects such as allergic reaction and upset stomach. Plus, some people have a hard time with the aftertaste. 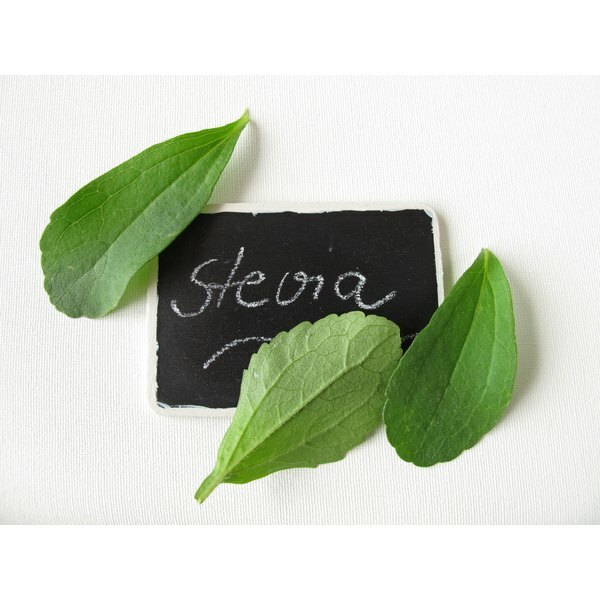 Although not a common food allergen, there have been reports of allergic reactions to stevia. Food allergy symptoms may vary. Contact your doctor if you develop hives, an itchy rash, mouth or throat, abdominal pain, nausea, vomiting, diarrhea or difficulty breathing after using Truvia or stevia. A 2007 case report published in Allergy noted infants with a history of eczema experienced anaphylactic shock after being fed a tea made with stevia. Although marketed as a natural sweetener, Truvia contains a sugar alcohol called erythritol. This sugar alcohol is usually added to low-calorie sweeteners to act as a bulking agent. Sugar alcohols are considered low-calorie sugar substitutes because they are not fully absorbed. In the colon, however, these sugars are fermented by bacteria and may cause gas and bloating. Additionally, when consumed in excessive amounts, sugar alcohols may have a laxative effect, causing diarrhea. Rebiana is a natural sweetener that's 200 to 300 times sweeter than sugar, but some people may have a hard time making the switch to a stevia-derived sugar substitute because it has a bitter aftertaste. The addition of erythritol in Truvia actually helps mellow out some of the bitterness, which might make it more palatable, reports the Center for Science in the Public Interest. At the time of publication, chemists are working on ways to make the natural sweetener less bitter, but that may also make it less natural. The Food and Drug Administration considers rebiana a GRAS ingredient, or generally recognized as safe. However, CSPI reports that stevia and its derivatives have not been fully tested for cancer risk, and some test-tube studies indicate that it may cause genetic mutations that may increase risk of cancer. While animal studies have been conducted, CSPI advises that more studies are needed to confirm risk and safety. Like any sweetener, low-cal or not, it's always best to limit your intake.